Rough sets based on binary relations are of generalized rough sets. Meanwhile, the rough sets based on serial relations can be expressed via basic set assignments. In this paper, the notion of general basic set assignment is proposed by omitting a condition satisfied by basic set assignment. By the new proposed notion, a generalized rough set model is given. 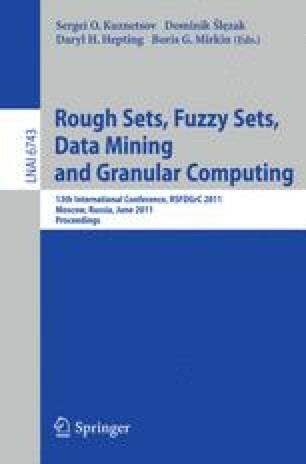 The relationships between the new model and the binary relation based rough sets are examined in detail. The investigation shown that virous types of binary relations can be characterized by general basic set assignments clearly, and the new rough sets are of another form of binary relation based rough sets.